For many years, my wife and I would eat breakfast at TJ’s Bagel and Eatery nearly every month. That tradition ended about two years ago when the ownership changed hands to one of the waitresses. What was once a pleasant time became an absolute nightmare. Unfortunately, this woman wasn’t pleasant and really didn’t have a clue about running a dining establishment. Her surly attitude and permanent scowl were always present. 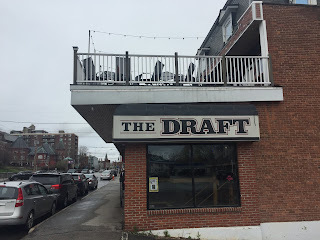 A few weeks ago we found ourselves driving by TJ’s on Route 102 and we noticed a large banner promoting those words we had long waited to read – “Under New New Management" I turned to my wife and said that we must try the breakfast again. This past weekend we ventured in not knowing what to expect. Usually new management means noticeable changes but things looked the same. We asked the waitress about the new owner and apparently he is one of the former cooks, Seamus. He kept much of the same menu and we were pleased with this non-change. I do have to say that the place is pretty basic in décor and could really use some spiffing up – perhaps new carpeting and those faded pictures from the 80’s have seen better days. The restaurant was noticeably cold as it has been in the past. It would be nice for customers if they could warm it up a little. But I digress. 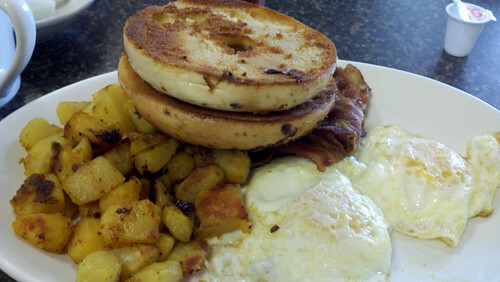 I ordered my usual morning meal which consisted of two eggs over medium, bacon, home fries, and one of the main reasons I enjoys TJ’s so much, their bagels. I opted for a grilled onion. The meal was served hot and tasty. 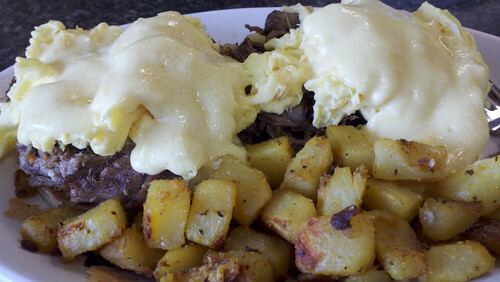 My wife selected the roast beef hash Benedict and enjoyed it very much. This was a nice change of pace as most restaurants serve corned beef hash. The service was quick and the waitress was very nice. So I recommend TJ's Bagel and Eatery, the new management is a welcome change for all.